Famous for the classic TV series, Bonzanza, Virginia City’s wild horses have been trapped and are being processed to be sold at an auction frequented by kill-buyers. On Oct 24th, twenty-nine Virginia Range wild horses are going to be sold by the State of Nevada at the Fallon Livestock Auction. Historic Virginia Range wild horses are loosing their freedom due to urban sprawl. Wild horses create biodiversity on the range and reduce fuel for wildfires. Hidden Valley Wild Horse Protection Fund will spearhead the rescue lead by Shannon Windle. Protect Mustangs will lend their support to help save the historic wild horses from going to slaughter for human consumption. Last month 53 Virginia Range wild horses were trapped and sent to the auction. All the horses were rescued thanks to a huge team effort Lead by Hidden Valley Wild Horse Protection Fund with Protect Mustangs, Let ‘Em Run, American Wild Horse Preservation Campaign, Least Resistance Training Concepts, HorsePower, Starlight Sanctuary, other groups and individuals around the world. Read about it in New Zealand’s Horsetalk and Australia’s HorseYard. Adoption information is here. 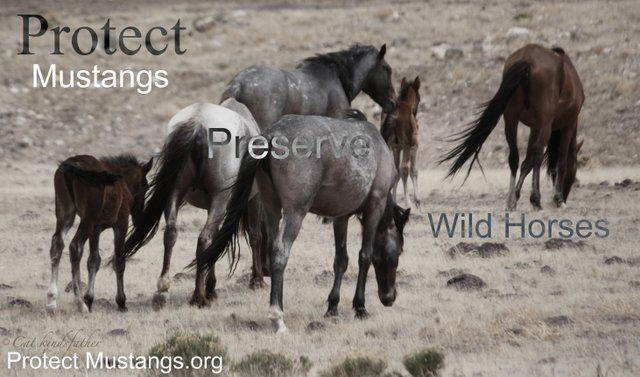 Contact Anne@ProtectMustangs.org if you want to adopt a wild horse or two. Contact Governor Sandoval if you don’t like Nevada removing indigenous wild horses and selling them at an auction with kill-buyers. Let them know if you are from out of state or out of the country because Nevada seems to care about tourism. Donations may be sent directly to Hidden Valley Wild Horse Protection Fund. AS PER N.R.S. 569.080, if an estray animal is not claimed within 5 working days after the last publication of the advertisement, as required before sale or placement, said animal (s) will be available for sale or placement by the Division of Livestock Identification on Wednesday, October 24, 2012, at the Nevada Livestock Market, Fallon, NV.